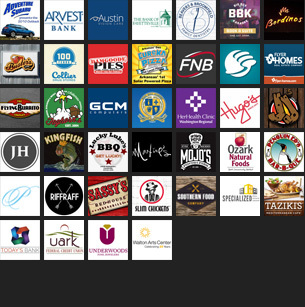 It’s hard to believe that with all the culinary events coming to the area courtesy of the upcoming Fayetteville Roots Festival that there would be anything else to draw your attention during the festival. But the ‘roots’ of Roots Fest also mean a specific kind of music that will be featured prominently during the festival, with begins Aug. 22. 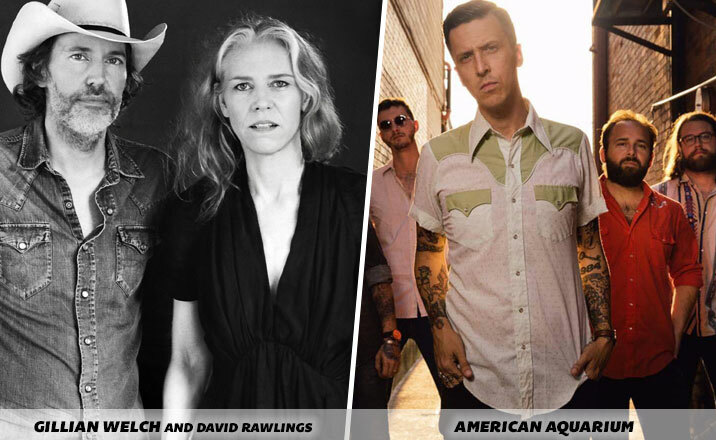 Before it’s over, artists such as soul legend Mavis Staples, songwriter extraordinaire Gillian Welch and rowdy Americana rockers Turnpike Troubadours will have played at one of several stages in the region. Dozens of other acts are on the roster as well. For a more complete look at the extensive Roots Festival music offerings, visit the festival’s website, which features a schedule that can be filtered to show acts by performance night, price or venue. What follows are a few music highlights and how to see them. Not many musicians can claim they remained culturally relevant or important for a decade. Very, very few can claim they’ve been relevant for nearly seven decades. 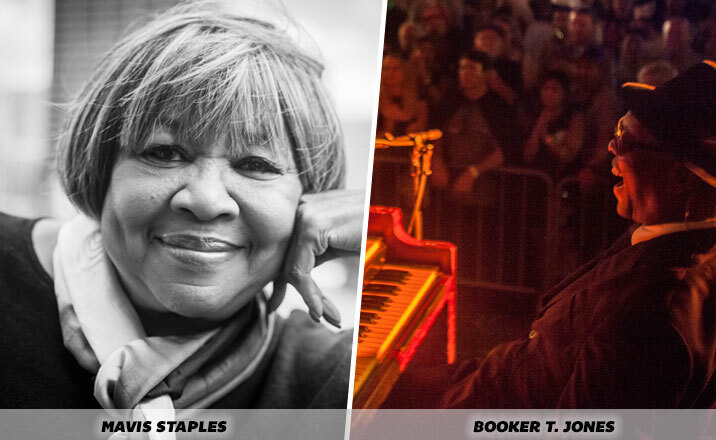 But that’s exactly the case with Mavis Staples, who debuted as a 11-year-old with her family’s gospel group, The Staples Singers. Her last album, “If All I Was Was Black,” came in 2017 and was praised for its look at contemporary issues. Booker T. Jones grew famous during his time leading Booker T. and the MGs, a legendary soul band that originated in Memphis. The group played a prominent role in Stax Records’ output, serving as session musicians for many acts. Jones’ contributions earned him a Grammy Award for lifetime achievement. The Wednesday night event is a culinary collaboration, meaning that eight chefs will be present for tasting sessions. Admission: This event is accessible via a ticket that’s separate from the three- or four-day festival passes. Tickets are $49 through the Roots Fest website. Del McCoury Band has slowed down their incessant touring schedule in recent years. After all, patriarch, guitarist and vocalist Del McCoury will turn 80 on his next birthday. But the band hasn’t slowed the speed of their pickin’ (or grinnin’). The bluegrass traditionalists have collected 50 years of history and a stack of awards. Admission: Only by a four-day VIP pass or a festival culinary pass. VIP tickets are sold out, but culinary passes remain. Those passes are $199. One of the most acclaimed songwriters of the modern Americana scene, John Moreland might just break your heart. He fairly frequently reduces audience members to tears, even when they’re ready for it. Moreland performs as one of many of the late-night Roots sets at George’s Majestic Lounge. The Tulsa native seems to alternate between solo shows and those with a sparse rock band behind him. No word on what he’ll bring to Fayetteville, except for his great songs. Admission: Via a single-session ticket through George’s ticketing office. Tickets are $15 in advance and $18 day-of-show. The headliner of the Friday proceedings of the festival has been consistently releasing well-received albums during his career. Josh Ritter is a folk/Americana/countryish artist, and he last released an album in July 2017 with “Gathering.” He tours with a group called the Royal City Band. Admission: This show is accessible with a four-day VIP pass or any of the daily passes that include Friday night activities. All of those ticket types are currently sold out. 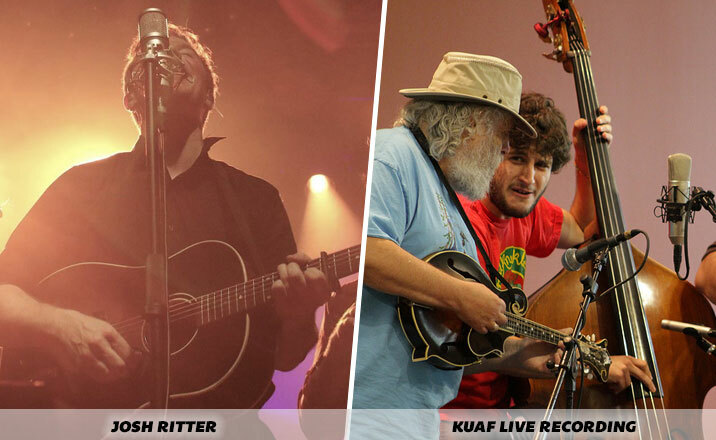 It’s hard to guess which artists will show up to do a live take during KUAF’s live, Roots Fest-centric broadcast. 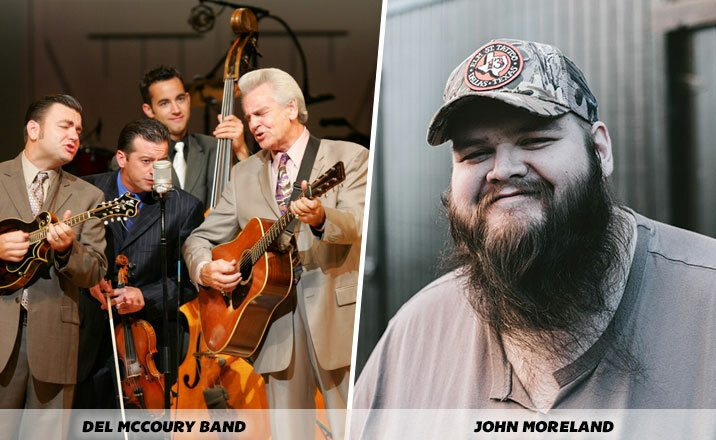 But in the past, it’s included festival headliners like Iris Dement and The Wood Brothers. It can be difficult to snag a seat at the recording, but previous years have featured overflow seating just outside the Walker Community Room, where the sessions take place. Or, you can try again for the Saturday version, which begins at 11:30 a.m. and is recorded live to be aired a later date. For years, festival organizers have been trying to book Gillian Welch for a headlining spot. She’s a perfect fit for the music aesthetic of the festival, with a focus on skillful songwriting and a folksy approach. Scheduling and timing never worked – until now. Welch tours with musical partner Dave Rawlings, which whom she’s recorded several albums. Admission: This show is accessible with a four-day VIP pass or any of the daily passes that include Friday night activities. Sorry, but you’re too late. American Aquarium has been around for several years, but it’s a new and perhaps renewed version that visits for the late-night set at George’s. Fronted as always by songwriter BJ Barham, the band coming to Fayetteville features an otherwise all-new lineup after the previous one disbanded last year. When they perform, they’ll highlight work from the appropriately titled album “Things Change.” It follows similar sonic territory with a series of roots rock tunes. As an important bonus, musicians Charley Crockett and John Fullbright are also on the bill. Fullbright is a Grammy-nominated songwriter from Oklahoma. He headlined the Roots Festival last year as a last-minute replacement when Rodney Crowell canceled due to illness. Fullbright in particular loves to jam, and I’ll wager he wants to play into the wee hours. Admission: Via a single-session ticket through George’s ticketing office. Tickets are $20 in advance and $22 day-of-show. If you wanted to see a taste of the mainstage action but didn’t get around to buying a ticket, this is a good one to try. Better yet, there’s no ticket required at all. Mary Gauthier has performed at a previous Fayetteville Roots Festival and she’s known for her whip-smart songs and her tracks have been performed by an impressive range of artists you’d recognize. Her most recent project is the album “Rifles & Rosary Beads” from earlier this year. The songs on the album were written with help from U.S. combat veterans. She told NPR she hopes the album will bridge gaps and explore the humanity of veterans. The Roots Festival offers hours of free programming, and this is one of those events. She’s also onstage at 6:20 p.m. Friday (Aug. 24), but this may be the one to see. Note: Midnight here means the first hours of Sunday, not the time that ends the day. Admission: This show is accessible with a four-day VIP pass or any of the daily passes that include Sunday night activities. Like Friday and Saturday main stage events, the show is sold out. 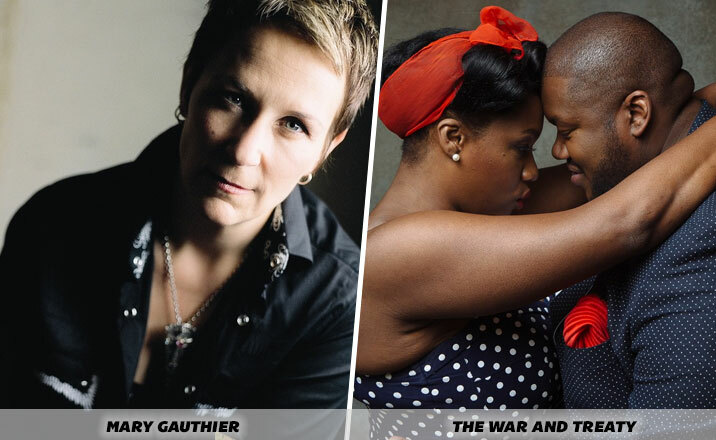 The War and Treaty also perform Saturday afternoon at Crystal Bridges in Bentonville. Remaining tickets are $20.